My Tintin In America x Sophie’s Choice foal knows how to get to the reward line. Young foals can look as awkward as folding deck chairs, or as graceful as a ballet dancer, all in the space of a few minutes. This one manages the convolutions of the former with the agility of the latter in one successful movement. Today is the second anniversary of my mum’s death. Averil Marjorie Pears (nee Shakes). 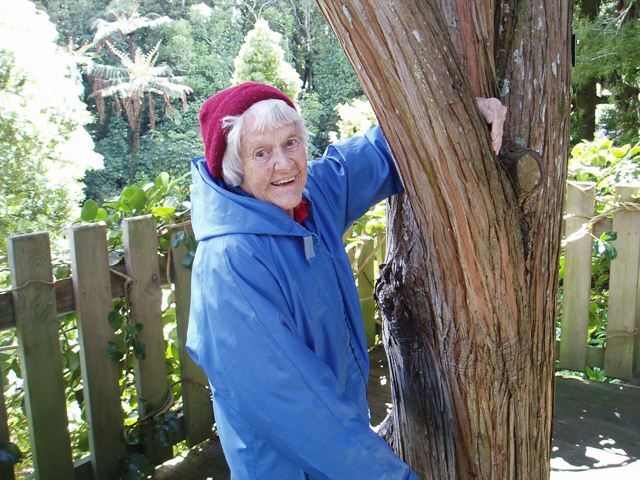 She lived to “a ripe old age” mainly keeping active and interested in things, although the last year of her life was particularly difficult as she became more confused and anxious. She was a huge supporter of my interest in racing and breeding, and loved to keep up with the latest news of mares, foals and anything that went on to race. I still have her phone message from 5 June 2010 reporting she had watched on TV the horse I bred, Tintin In America, winning the 4yo Emerald Jewels held here in Cambridge: “Tintin’s legs just went like lightening. His feet hardly touched the ground! We’re thrilled!” I can’t share the strength and excitement in her voice, but you can imagine it. She lived in Wellington and I live in Cambridge, and she had almost no direct contact with the horses. 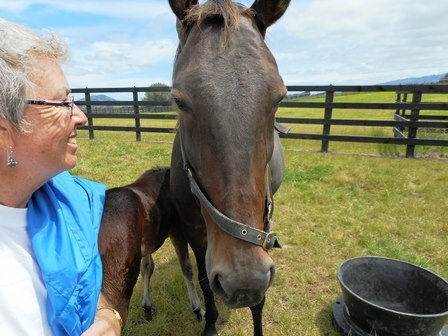 But through my regular visits and many photos I could share the development of foals into yearling, then racehorses or broodmares with their own foals. She took a share in Kym’s mare Sun Isa as a racehorse, and loved following the progress of Kym’s trotters as much as my pacers. And naturally the other horse she liked to see doing well was Rod McKenzie’s Averil’s Quest, the lovely 9-win Badlands Hanover mare. The last foal she was really aware of was Destination Moon (whom we nicknamed Duncan), and thanks to my sister developing a scrapbook and talking to her about the horses, Mum was able to follow his progress from birth to a yearling even though her physical and mental health was deteriorating. The last very short coherent conversation I had with Mum was a month or so before her death. It is something I will always treasure as she suddenly spoke lucidly, knew who I was, and recollected a couple of things about my personal circumstances including “the horses”. It was a happy moment, however brief, for both of us. A small calm in the storm that is dementia. 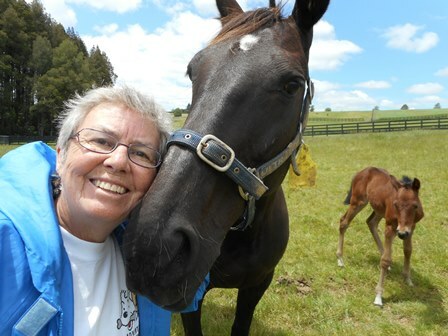 Today I am putting on Mum’s little blue parka – the one she often wore out on ‘adventures’ – and going to Breckon Farms to visit Zenterfold and her new filly foal, and Sophie’s Choice and her Tintin In America colt foal. It just feels the right thing to do today. I haven’t visited him yet, but thanks to Graeme Henley at Alabar I can see what he’s like- good size, athletic type, lovely head. By Shadow Play (check the match here). The Blue Lotus is the daughter of Zenterfold. Now The Blue Lotus is getting served by A Rocknroll Dance, thanks to the competition I ran for blog followers earlier this year to choose her next match. Here I am, born yesterday. It’s a funny old spring weather here in the Waikato. One minute sun, next minute rain. It’s warm, then cold. I’m just getting used to it, and hanging out with my Mum who is teaching me what to do. 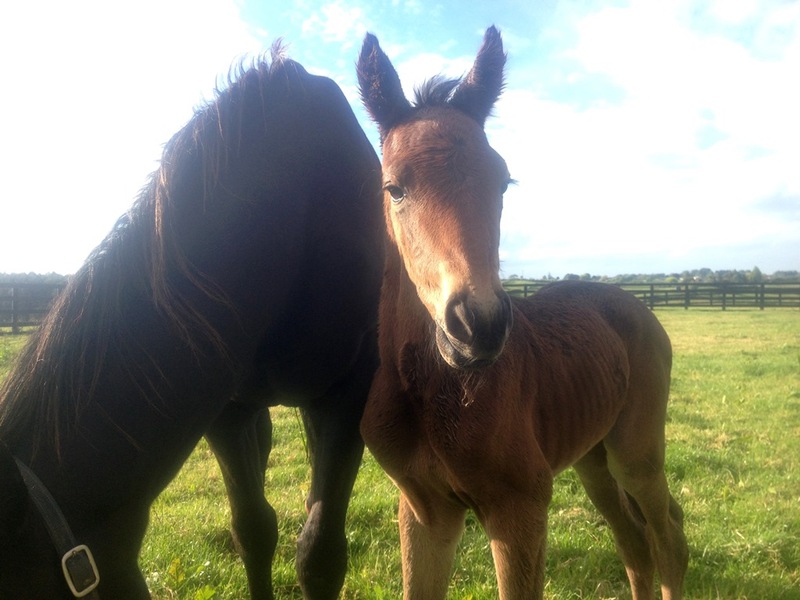 Filly foal from Zenterfold, day one. By Rock N Roll Heaven. Folklore has it that Gene Abbe was foaled in the infield at the Putnam fairgrounds in Ottawa, in Ohio. The Abbe, grandsire of Gene Abbe. He was a son of Bert Abbe who is a son of The Abbe. The main siring son of The Abbe was of course Abbedale, who left sons Dale Frost and Hal Dale and the rest is history. Bert Abbe was a fast racehorse himself (1.59 in the 1920s) and his second dam was a daughter of the famed Dan Patch. He must have done an okay job as a sire. But as a sire of sires, Bert Abbe left Gene Abbe, and that was it. Gene Abbe’s dam Rose Marie took a record of 2:05 in 1927 and produced 9 racehorses from 11 foals, but Gene Abbe was clearly the standout. So you can see there was speed from Bert and toughness from Rose, and that just about sums up Gene Abbe. A foal of 1944, as a 2yo he won 14 of his 16 starts – for a total stakes of just $2,940, but remember that was wartime and 70 years ago. 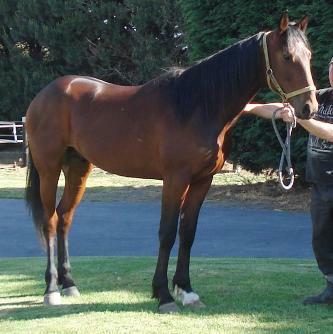 He raced successfully through his career until he was a 6yo, then retired to stud. 151 starts, 49 wins 46 places, $51,239 lifetime earnings, and a huge reputation. As a sire he did something no other has achieved – he was the horse that kick-started artificial insemination, thanks to the work of Hal S. Jones who managed Pickwick Farms in Ohio in the 1950s and 60s. Jones developed an artificial insemination technique in which Pickwick stallion Gene Abbe was bred to 181 mares. This innovation made Gene Abbe the first stallion of any breed to register more than 100 foals in one breeding season. (Pickwick Farm owner Walter Michael) was interested in the quantity of mares we bred, not necessarily the quality of mares we bred….He wanted to know how many mares a stallion was breeding, not how good they were. In spite of this attitude, or perhaps because the numbers, Gene Abbe was a successful sire of good racehorses, both male and female, and his longevity in that role meant he appears in the forefront (i.e. the first 4 generations) of so many good horses today. Before following his legacy as a sire and broodmare sire, let’s give a big tip o’ the hat to Gene Abbe the racehorse. In a conversation with Fred Parks this summer, the New York state reinsman who had Gene Abbe prior to his purchase by the Kniselys, he stated that Gene Abbe was the safest free-legged pacer he had ever handled or seen for that matter-had to be literally knocked off his feet to make a break. Fred drove him to his 11/2 mile victory over Grattan McKlyo and Indian Land when the Bert Abbe pacer came from dead-last after being run into and won going away. Gene Abbe raced better than 2:00 several times and whipped his share of the 2:00 brigade also, still ranking as the top money-winning stallion by Bert Abbe. We noticed in a visit last summer that Gene Abbe goes right into a pace when just walking from his stall. Possessed of terrific whiz from his two-year-old form, Gene Abbe is out of a free-legged mare, Rose Marie 2:05 (hmt) and her first five foals all took marks of 2:081/4 or better on the twice-arounds. She was by the 2:021/4 sire, Martinos 2:121/4 (half-brother to the 2:00 sire, Peter Henley 2:021/4) and carries real racing pacing inheritance back of that. We always used to root for this gallant pacer at the races, having a weakness for the free-legged variety, and feel sure that he will be another 2:00 siring son of Bert Abbe before the books are closed. Extract from Barn To Wire.com 1952 Harness Horse: Eventime Farm, Ohio, where Gene Abbe first stood after retirement from racing. It is a breeding and CV based on toughness and durability rather than sheer speed. 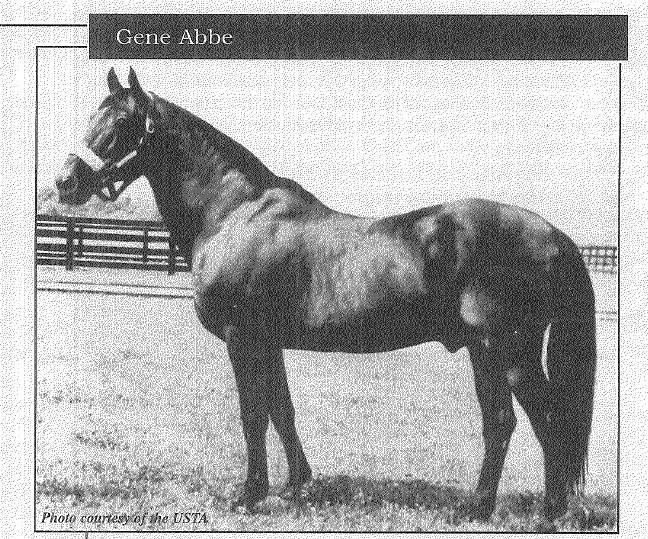 Gene Abbe has one of the longest stud careers on record, standing commerically from 1951 to 1977, with a total of 1073 foals for 871 starters (81% starter ratio). His biggest crops were in the early 1960s, when he was second only to Adios on the money-winning pacing sire listing (although with greater numbers on the track than Adios). He was a sire of good tough racehorses like himself. One of his best was Rex Pick, an ultra tough pacer who did battle with our great Cardigan Bay in FFA events in North America. Blaze Pick was a good son of Gene Abbe – he took a record of 1.59 and stood at stud but only had three progeny in 2.00 from a small number of foals. One of his non-record mares was J.R. Amy who turned out to be an amazing broodmare. She left 13 winners from 14 foals including four in 1.55, and one of them was the very influential sire and broodmare sire Jate Lobell (by No Nukes). I won’t start to list his impact in this blog – it is a huge one. 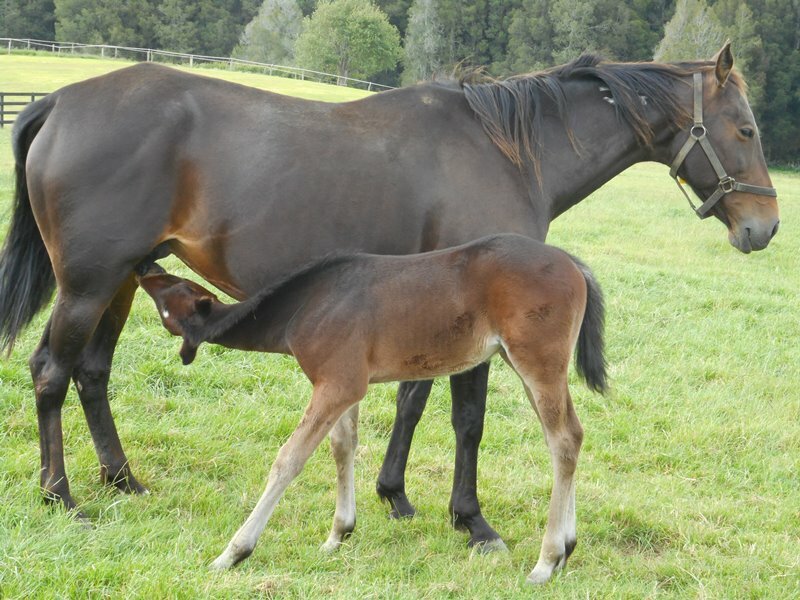 Another of J.R. Amy’s foals was Jiffy Lobell (by Oil Burner) who shows up in New Zealand breeding (after being imported here) via her daughters Rebecca Sunrise and Georgina Lobell. Interestingly, a mare like blog follower Brian Cowley’s Black Raider (Safely Kept X Secret Passion) combines both these influences from Gene Abbe/Blaze Pick/J.R. Amy in her pedigree. Hindsight is a great thing. Wejover was not a success here at stud and later moved to Australia but had very poor results there a sire as far as I can see (please let me know if I have missed something here). One of Gene Abbe’s other daughters, La Byrd Abbe, has had a longer influence in New Zealand pedigrees, being the dam of the great American racehorse Nero. Nero’s best performing full sister sister Marquess De Sade was imported to New Zealand halfway through her breeding career and was bred (by R D Stewart, Mrs G E Stewart, J A Bracegirdle) to Smooth Fella, Holmes Hanover and others for mixed results in the longer term. Nero’s other full sister Skipper’s Romance leads us (via her daughter Sheba Hanover) to very good performers here like Bit Of A Legend and Smooth Ice/Classy Filly, and (via her son Seahawk Hanover) to Blossom Lady. It is the “fate” of some great racehorses and sires like Gene Abbe and Tar Heel to struggle to find a prolific siring son or sons to carry on their branch. Gene Abbe was one of those stallions who appeared to be ahead of his time, given his modest pedigree and his lack of opportunity with the sport’s best mares until very late in his career. It’s amazing what he did accomplish against some strong competition and he certainly rates as a legendary sire as far as the pacing breed is concerned. Let’s hope one of Big Towner’s sons can keep this line going. 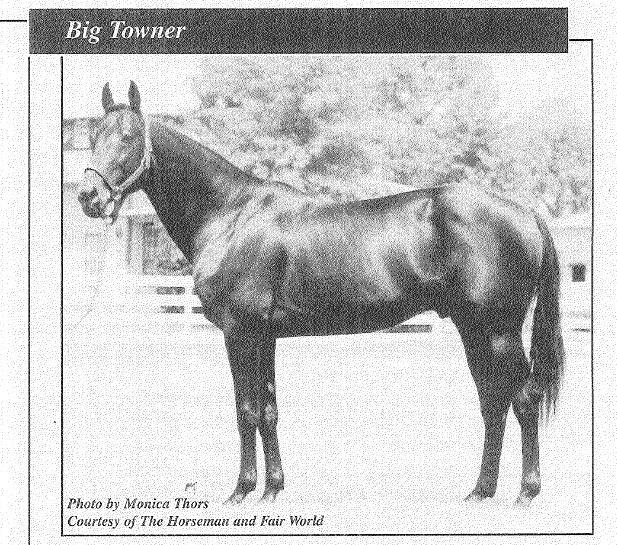 Right at the very end of his siring career, he produced Big Towner – one of the most underestimated influences in our modern breed. A great racehorse and Gene Abbe’s best siring son by far, Big Towner pretty much followed in the same mould, and has done the same great job as his dad. But it’s there that this siring line has faltered, swamped by the wave of Meadow Skipper line sires. However the Gene Abbe influence continues because of Big Towner’s huge success as a broodmare sire and in some quirky ways where Big Towner’s sons have also left a brief but enduring mark. Perhaps the most successful son of Big Towner downunder was Walton Hanover, although he stood in Australia and was not a big player at all in the New Zealand siring scene. Walton Hanover is the sire of Totally Ruthless (who also stood in New Zealand and Australia but with little top level success) and damsire of New Zealand breds Arden Rooney ($NZ225,093), the Kaikoura Cup winner just recently, and Georgetown who won over half a million dollars before being exported to America, as well as being the damsire of the mare Secret Potion $NZ285,312. 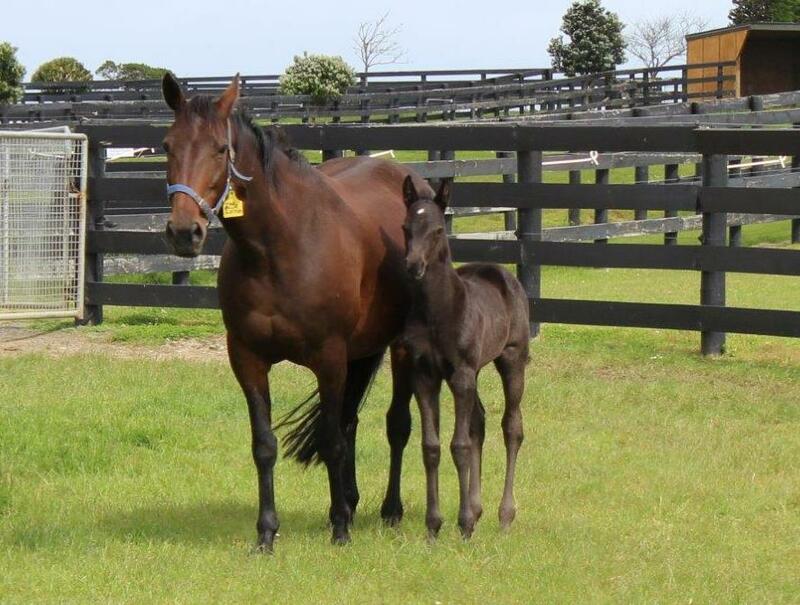 Walton Hanover’s live foals-to-winners statistics in Australia seem to be just over 50% which is really good for this part of the world. 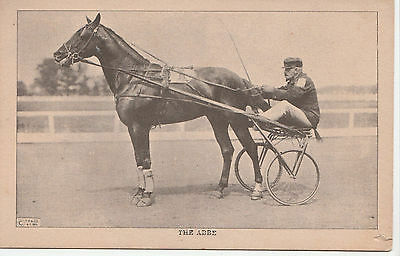 Several other descendants of Gene Abbe and Big Towner on either their sire or dam line have also played a big part in the Australian stallion scene including Towner’s Big Guy, Broadway Express, Jet Laag, Pacific Fella, JC’s Suprimo and his close relation Aces N Sevens, Stature, Sandman Hanover, Northern Luck, Brioso Hanover. Their siring was almost all done in Australia rather than here, and I’d be interested to get some readers’ comments on how their various contributions are viewed in hindsight by Australian breeders. 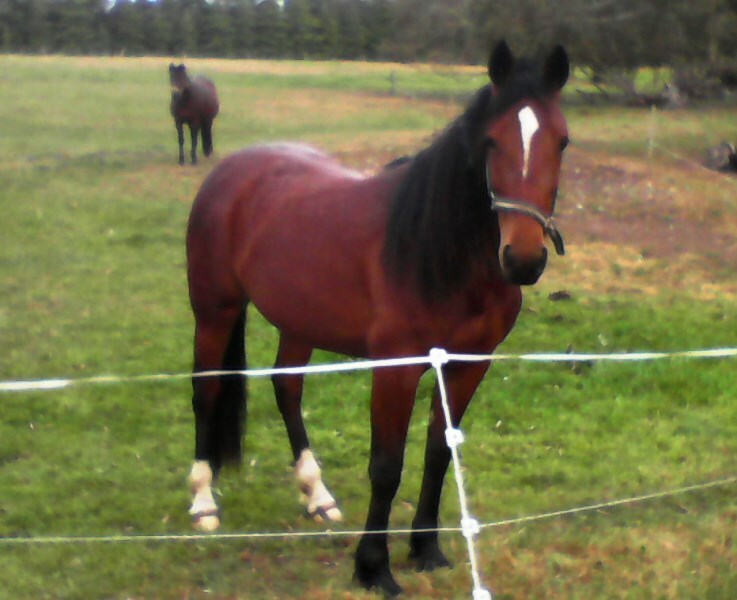 Man Around Town, a grandson of Big Towner, stood in New Zealand through the 1990s and into the first decade of this century, and sired some very good individuals – mainly tough top mares like Robyn Blue, Imagine That, Kym’s Girl and Royal Rascal; the latter is the dam of Fiery Rascal and Twilight Rascal. None of Big Towner’s sons or grandsons have really kept the Gene Abbe siring line alight vigorously at the top level. But that in no way diminishes the overall contribution of Gene Abbe and Big Towner to standardbred breeding overall – right down to the present day. Gene Abbe and Big Towner are both what I call an engine room sire. The “genes” passed on are tough, durable and deliver quality, just like Gene Abbe himself.